Looking to add a little power under the hood of your 1996-2010 Mustang 4.6? This A/C Bypass is an awesome way to save weight and add power!! This A/C eliminator fits 1996-2010 Mustang with 4.6L V8 engine SOHC/DOHC. It has a stock appearance for a clean look under the hood. 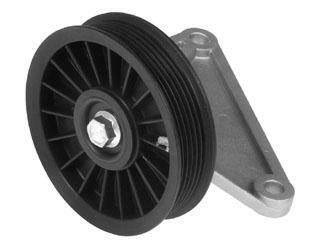 This pulley assembly is sometimes referred to as a A/C bypass or delete. This will bolt to the factory A/C bracket location for an easy installation. Great way to save weight and gain power at the same time!